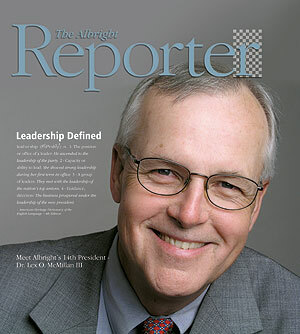 Meet Lex O. McMillan III, Ph.D., Albright’s 14th president, and learn what he has in store for the College. WXAC is celebrating its 40th birthday this year. Find out how it all began. See how a periodontist and a former English teacher have turned a love for llamas into a business venture.